I have been learning and teaching computing and programming for over 20 years. My lectures are organized, well presented and easy to follow. I was introduced to playing Roblox and creating in Roblox Studio by my 10 year old son. I am impressed by Roblox Studio and the resources available to create professional games. I have created this Roblox course which goes step by step through making a simple game. 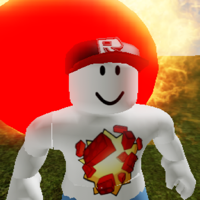 Once you have the basics you can begin to create your own Roblox game.